One of my favourite films of the London Film Festival 2016 is released in UK cinemas this weekend. Here's a snippet of my review of Trespass Against Us which stars Michael Fassbender and Brendan Gleeson. With its frequent references to Christianity, it's unsurprising to find a holy trinity of perfect performances at the heart of Trespass Against Us. A towering Brendan Gleeson plays domineering father to reluctant criminal Chad (Michael Fassbender), who is hoping for a better life for his own son Tyson (Georgie Smith). As three generations of the Cutler family, Gleeson, Fassbender and Smith are a force to be reckoned with in this exceptional crime drama. 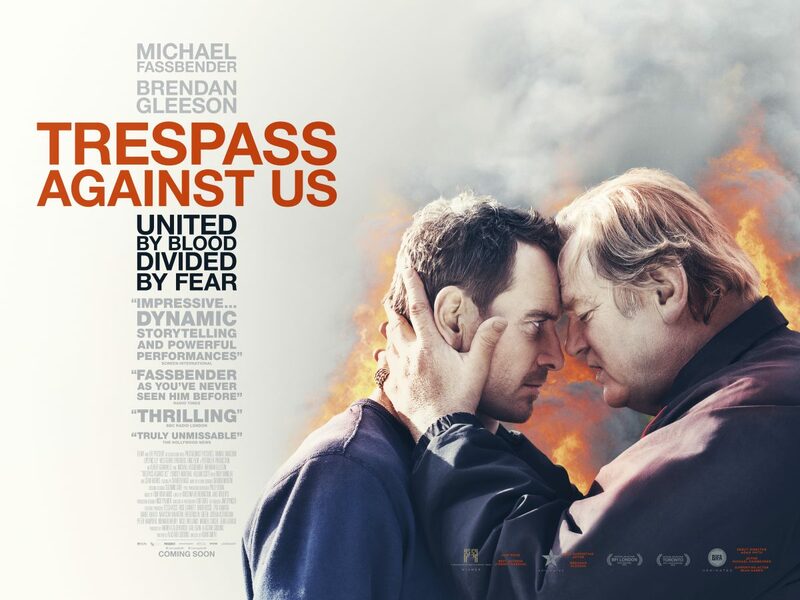 Read the rest of my Trespass Against Us review at Starburst Magazine here. More reviews from I Love That Film. Xavier Dolan becomes the Roland Emmerich of melodrama with his apocalyptic family reunion in It’s Only the End of the World. Not even a single plate gets smashed as a French family collide over a single day, but the emotional devastation is worth more than a thousand alien spaceships smashing their way into the planet. It might not really be the end of the world, but for these characters, there may never be another chance for them to express their heightened emotions. For writer Louis (Gaspard Ulliel) however, time is most definitely running out. With his terminal illness weighing heavily on his mind, Louis returns to his family home after a twelve year absence to tell his mother, brother and sister that he is dying. His older brother Antoine (Vincent Cassel) is filled with resentment for everyone around him, younger sister Suzanne (Lea Seydoux) barely knows the brother who left when she was only a child and Antoine’s wife Catherine (Marion Cotillard) is meeting Louis for the first time. As tensions boil between the siblings, Louis must find the right time to deliver his devastating news.